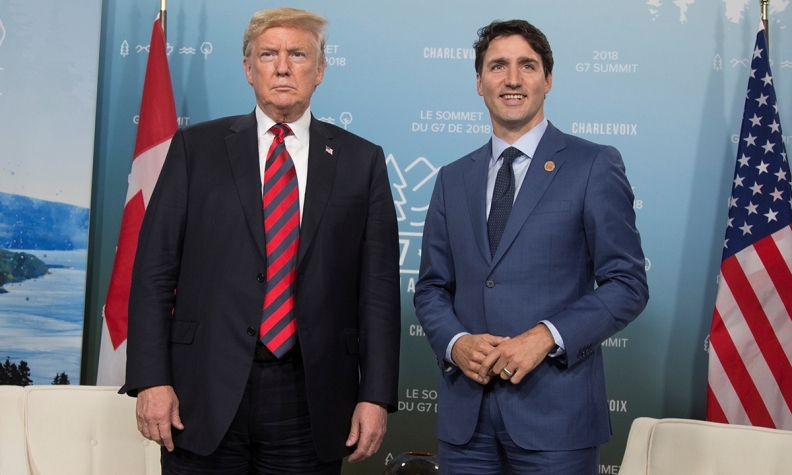 WASHINGTON — Canada's negotiating team in Washington is returning to the bargaining table to resume talks with their U.S. counterparts, hoping for a breakthrough to reach a new deal on the North American Free Trade Agreement. Foreign Affairs Minister Chrystia Freeland said she is looking over the work that officials from both countries did during a long night of talks to move the needle on negotiations. Canadian negotiators spent the morning huddled in the Canadian Embassy to discuss the outcomes of last night's lengthy conversations with their assessment setting the stage for this afternoon's face-to-face meeting between Freeland and her American counterpart, Robert Lighthizer, sources said on the condition of anonymity due to the sensitivity of the negotiations. The two lead ministers on NAFTA held lengthy meetings in Washington on Wednesday. Sources said both sides want a deal, but cautioned there remain disagreements on key issues, including dairy, culture and the Chapter 19 dispute resolution mechanism. Canada also wants a permanent exemption from Trump's steel and aluminum tariffs, and removal of the threat of auto tariffs. It also wants to continue protections for its dairy industry and defend lumber exports to the United States, which have been hit with duties. On Thursday afternoon, Freeland described the atmosphere as "constructive" and "positive." NAFTA negotiations, now in their 13th month, are key to determining the economic and trade relationship among the three North American countries, with many workers' and industries' prospects hanging in the balance. President Donald Trump is threatening to move ahead on a deal that excludes Canada, but he also needs a win on trade ahead of midterm elections in November that will test his ability to keep control of Congress. Trump and Prime Minister Justin Trudeau traded barbs Wednesday, with each saying they were willing to walk away from NAFTA if they don't get what they want. But, as the two sides met Thursday, new economic data showed that the U.S. trade deficit with Canada grew to US$3.1 billion in July. This could provide ammunition to Trump, who has accused Canada of "cheating" Americans.